Nobody Beats the Drum perform with a Tesla Coil. We caught up with Sjam Sjamsoedin from Nobody Beats the Drum, to discuss admiration for Tesla, safety precautions, and just how the music and the Coil are synced live. 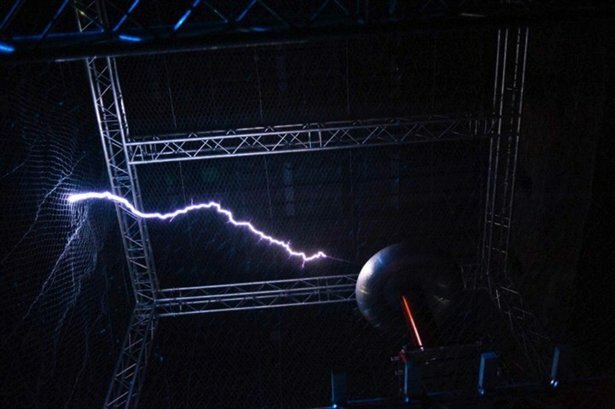 How did you first come to work with a Tesla Coil? We wanted to do something special for the Night Of Arts And Science festival in Groningen. I've always been very interested in this amazing lightning machine and our album Currents is loosely inspired by the genius of Nikola Tesla, so this was a logical step. 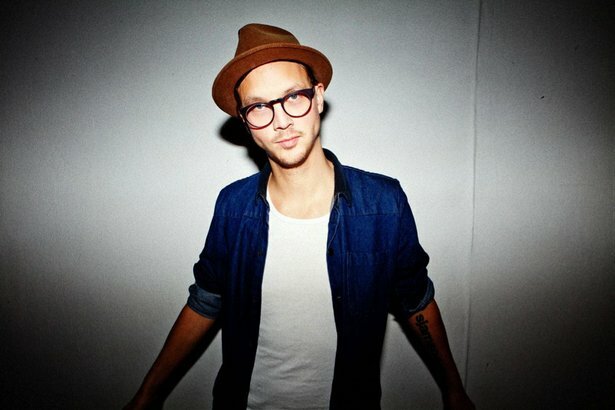 Sjam Sjamsoedin from Nobody Beats the Drum. How does the Tesla Coil interact with the music during your performances? You can control its intensity with MIDI, so I took some sounds and replaced them with the coil in some cases. I also wrote some MIDI parts especially for the coil and i played it live with an arpeggio and a MIDI controller. I tried to create tension throughout the set, so the coil buzzed subtly at the beginning and throughout the set I built it up towards an epic finale. The sound system at the venue was amazing, so the balance between the music and the coil was good, something I was very worried about before the show. Are there any safety concerns when playing live with a Tesla Coil? How do you keep the electricity contained? Well, they built a case out of wire gauze around it to protect me. But if I had stuck my finger through it I'd be very dead! Nobody Beats the Drum - Sjam Sjamsoedin & collaborator Jori Collignon - live with a Tesla Coil. Other than the Tesla Coil, what are you using the make music live? For this "enhanced DJset", as I'd like to call it, I used 2 CDJs, a DJM800, a laptop with Ableton Live, a Novation Launchpad and a Korg Padkontrol. What’s next for you - will you be taking the Tesla Coil concept further? Perhaps integrating it into your recorded music? To me, the sound by itself is not that interesting, so i don't think I would record it anytime soon. You need to see this thing in action to experience its awesomeness! It's quite extreme. This show was a one-off; I'd love to write more for it, do a full tour with it and show the amazing spark machine to the world.